Recently I was in Chinatown to meet some friends for lunch. After eating a wonderful dim sum meal and catching up, I walked up East Broadway towards the subway. I quickly encountered the sight above. This is not a directional sign, at least not for drivers. This building was, for many decades, the home of The Daily Forward. The Daily Forward was a daily newspaper printed in both English and Yiddish for the NYC Jewish community. It was founded by people who left the Socialist Labor Party to join with the Social Democratic Party of the U.S.A. The Forward had a left-leaning editorial point of view from its formation in 1897 through to today. At its height The Forward had a circulation of over 250,000 in English and the same in Yiddish. Today it is published in a weekly English and bi-weekly in Yiddish. In 1912 The Forward built a 10 story office and publishing building at 175 East Broadway. Today that building has been converted into very expensive condos, owned probably by people who have no idea of the real history of the place where they live. But this building holds one of my earliest memories. My step-grandfather worked as a typesetter for the Daily Forward, and I remember going to visit him at work one day. I could not have been more than three or four years old, and the machines that were used for setting type were impressive. My grandfather sat in a room similar to the one above. The Linotype machine consisted of a huge hopper above filled with small pieces of metal (usually type from the preveous day). 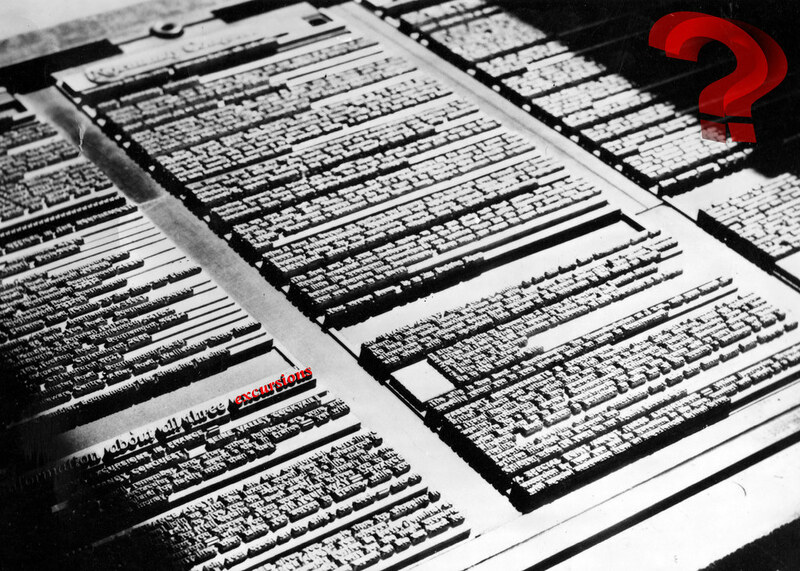 As the typesetter typed copy on a keyboard, the metal would be melted and formed into new pieces of type that the machine inserted into the proper row and position. I remember the room being dark, hot and noisy. And I was fascinated by what my grandfather was doing. This might be the reason why I am still fascinated both by the printing industry and large machines. Today the building has been restored. Even though it houses the rich and famous, it still carries the signs of its origin, including friezes of Karl Marx and Frederick Engels. More and more of the old city is being torn down and built anew. But walking around in the older sections there are still ties to the history of NYC. Sometimes, when you are really lucky those building have ties to your life as well. The great thing about walking around the city of your childhood is that memories await us just around the corner, down the block--if we only pay attention.